An innovative platform aimed at fractional property investing Investment RatingThe DomaCom platform is a new solution to invest in real estate. 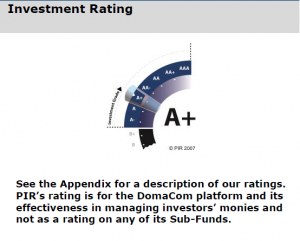 DomaCom aims to provide a platform where investors can trade whole or ‘part of’ direct real estate. The aim of the platform is to provide investors with an alternative to direct ownership of the residential real estate, whereby they can invest in a Sub-Fund without having to borrow to purchase the entire property. Investor Suitability: PIR views the Fund is aimed at investors seeking to diversify their property exposure into the residential property but also across other asset classes as they become available on the platform. The structure is regulated and provides the opportunity to invest relatively low amounts ($2,000) across various diversified assets/asset classes. PIR is unable to provide an assessment of expected returns as the financial metrics and duration will vary across Sub-Funds. the investment characteristics of the Fund. November 2015 Atchison Consultants have released a report on property asset allocation that shows a rolling 20-year return on residential property in three different risk categories; Moderate, Balanced and Growth. The report supports property as an inclusive strategy for Moderate, Balanced and Growth portfolio types providing evidence that residential property can enhance the return in each portfolio category over the longer term. It is likely that the relatively low volatility of residential property provides a stable anchor to these portfolio types. 5th July, 2017The University of South Australia has completed a research report on Property Crowdfunding in Australia. 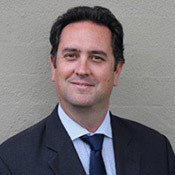 The research was conducted by academics from the University of South Australia in partnership with Domacom, one of the largest property crowdfunding platforms in Australia.